Trump is visiting the UK on July 13. Incredibly, the tweet above is on the level, from the actual elected Mayor of Sheffield, England, a major city with a population over half a million. Sheffield’s Lord Mayor has “banned” US President Donald Trump from visiting the city. 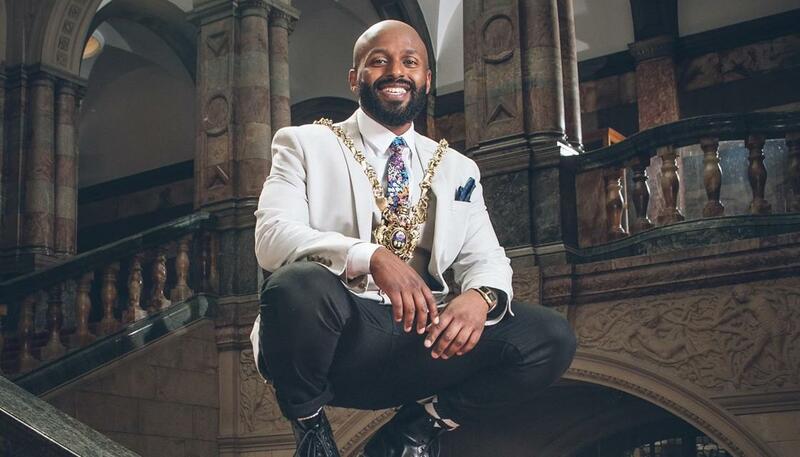 Magid Magid made the announcement while chairing a Sheffield City Council meeting and donning a sombrero “in solidarity” with Mexico. The Green Party councillor tweeted Mr Trump was a “wasteman” and “henceforth banned from the great city of Sheffield”. In a tweet, the mayor highlighted his opposition to Trump’s policies he objects strongly to, including “[Trump’s] ridiculous Muslim ban, withdrawing from the Paris Climate Agreement, moving a US Embassy to Jerusalem, enforcing the imprisonment of children at borders and defending white supremacists“. Magid Magid’s juvenile political views will be familiar to anyone who has been exposed to the “mainstream” media recently. Magid Magid is what comes next, after Alexandria Ocasio-Cortez. Next after that is Cyril Ramaphosa. Then comes Julius Malema, and not long after that, the last pale-skinned person perishing in a cannibal’s pot. At least liberals will die happy, having gotten what they wanted. On tips from Dave and Dragon’s Lair.